Dan Crocker, A.K.A. booze reviews, is the king of beer reviews. 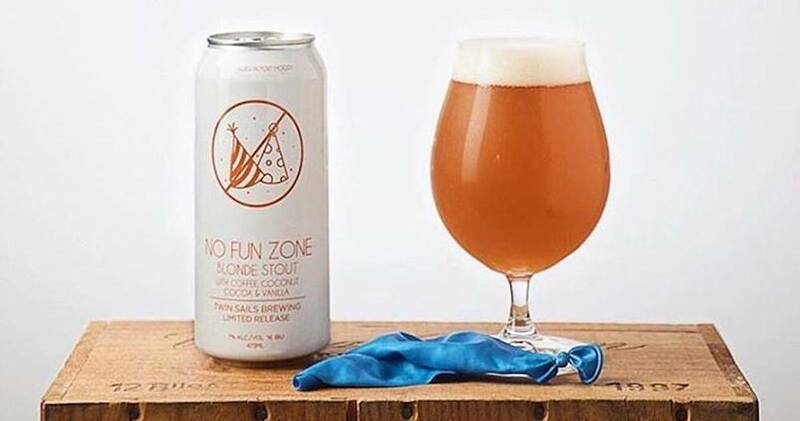 Watch Dan’s video below to find out if Twin Sails Brewing’s No Fun Zone Blonde Stout is worth trying. What is a Blonde/Golden Stout? A blonde stout seems like an oxymoron. A traditional American Stout is described as having an SRM of 39-40. The dark black colour of stouts comes from the roasted malt, which also gives stouts their roasted aroma and taste. Can a stout actually be blonde in colour? Yes, stouts can be brewed without the roasted malt. Brewers are using coffee and chocolate in their blonde (or golden) stouts to give the illusion of roasted grains so that the traditional roasted flavours are still present in the beer. Dan Crocker was lucky to get a few beers that you can not find in Alberta. Twin Sails Brewing’s No Fun Zone out of Port Moody, BC is one of them. Let’s see if this special brew lives up to the excellent reputation. I am back! I also got a chance to try the Blackberry Milkshake IPA from Hell’s Basement Brewing!